All Meetings Cancelled - The end of an Era! Please Enter as Accurately as Possible! 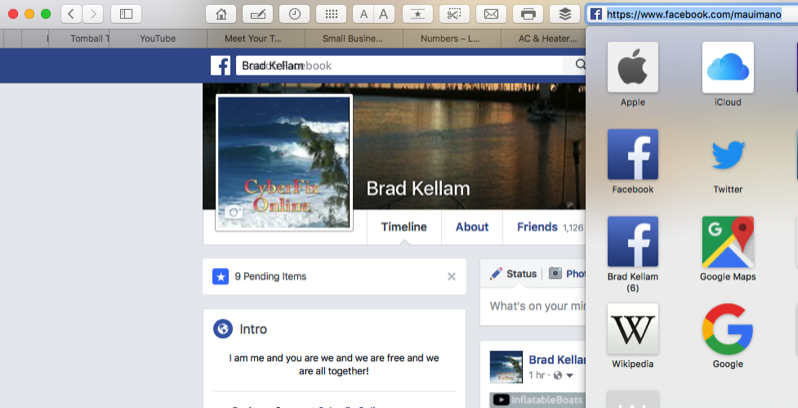 For Facebook - Go to your Facebook account in your favorite browser. I am using Chrome here, but you may use what you wish. Click on your Name (right by your picture below) the URL to your site is in the input field four the Facebook site. (See my URL highlighted in light blue below) Highlight that link and copy by clicking command + C on a Mac, and control + C on a windows machine. Go to the link form below and click on the Facebook field and command+ V on a Mac and control + V on a windows system to paste the link into the field. You may also use the "Cut and Paste" features if you wish to cut and paste your link into the form field below. 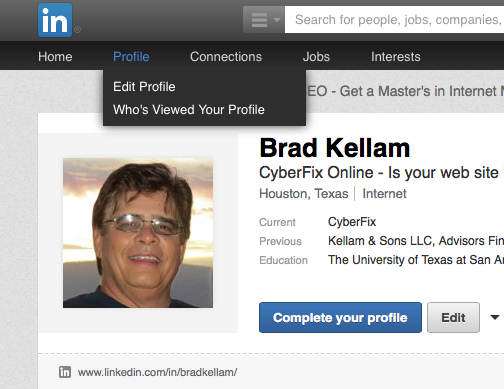 For LinkedIn - Go to your Linked In account in your favorite browser. I am using Safari here, but you may use what you wish. Click on your Profile Button and below your picture is the link to your LinkedIn site. Highlight that link and copy by clicking command + C on a Mac, and control + C on a windows machine. Go to the link form below and click on the Linked In field and command+ V on a Mac and control + V on a windows system to paste the link into the field. Describe your Educational background in your field/occupation. Include degrees, licenses or credentials required to perform your job. Are you willing and able to addend meetings Recularly from 11:30-1:00 on Wednesday's to build your Visibility? Are you willing to comply with the Code Of Ethics and Policies? What can we expect you to contribute to JVPNG? 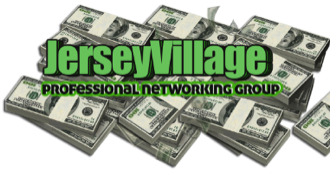 What is your ability to bring qualified referrals, introductions or visitors to JVPNG? Do you belong to other networking organizations? Meetings Wednesdays Starting Jan 16, 2019!